Practice includes students, adults of all ages, and couples experiencing life struggles and challenges including but not limited to: family conflicts, trauma, social adjustment, anxiety, depression, self-esteem and behavioral issues, as well as ADHD, grief/loss and identity challenges. 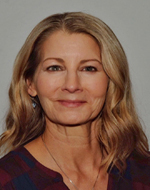 Juanita has 15 years of experience working with students and families helping support positive child rearing practices, and matters involving academic concerns or behavioral challenges. She utilizes Cognitive Behavioral Therapy and an insight-oriented problem solving approach. Her practice also includes adults who are directly or indirectly involved in elder care for the chronically ill and dying. Juanita speaks fluent Spanish and has traveled and lived in South America, Canada, and Europe. She has three adult children and enjoys spending time with her husband bike riding, taking hot yoga classes, camping, reading, and experiencing all things nature related.